7 Egyptian Geese eggs were found abandoned on our island and thanks to Mr. D and his team, the eggs were taken to the safety of our incubators for hatching. 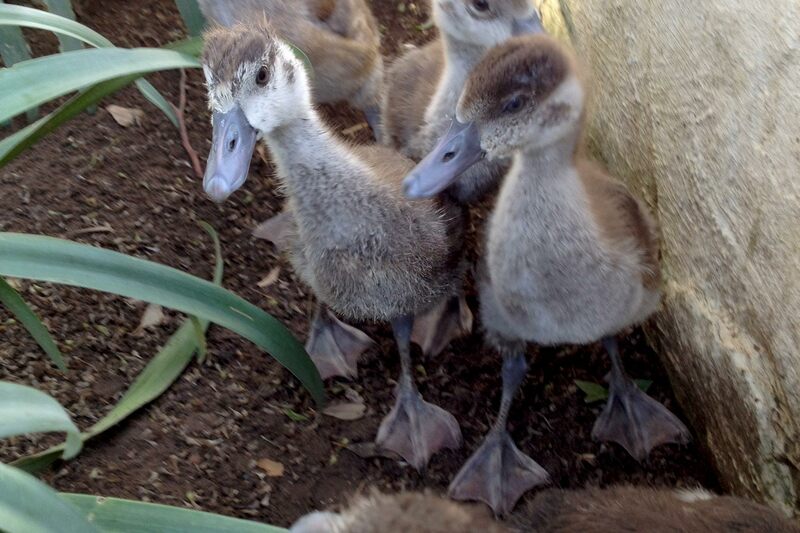 Hand-reared with love and care, these Goslings are now strong enough and have been released back into the dam! Click HERE to watch a short story about our Goslings! A little stronger and even bigger two weeks later, these little quackers are still walking back over the lawn, through the gate, around the lemon tree and to the grain bins where they grab some grub and then head off back to the dam again!